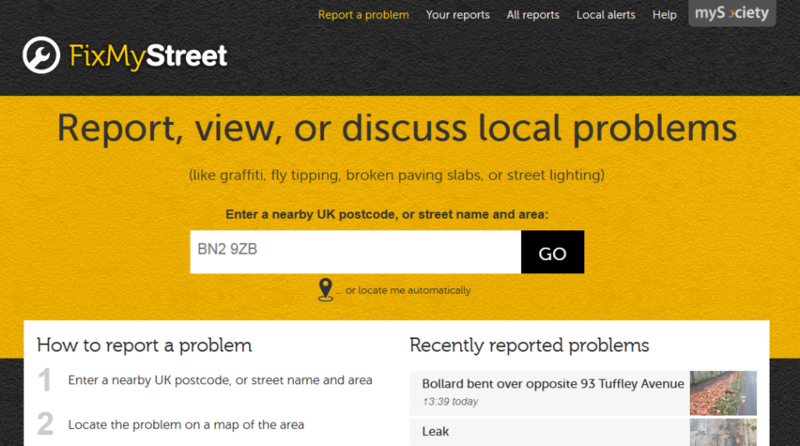 Go to FixMyStreet, and locate any RSS feed of the latest reports you want (for the above map, I used Edinburgh Waverley’s postcode of EH1 1BB; you could have used reports to a particular council, or ward, using the Local alerts section). Copy the URL of the RSS feed. Go to Google Maps, paste the RSS feed URL into its search box, and click Search Maps. 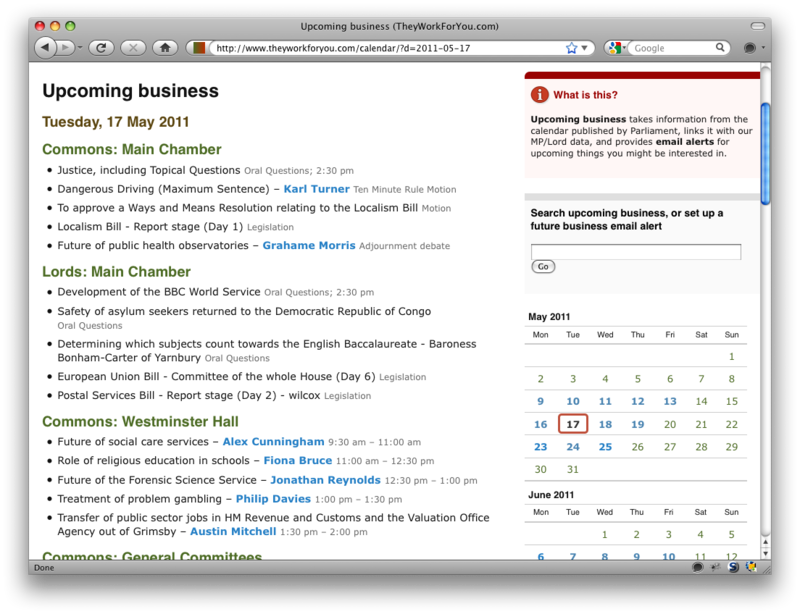 Click the “Link” link to the top right of the map, and copy the “Paste HTML to embed in website” code. Paste that code into your blog post, sidebar, or wherever (you can alter the code to change its size etc.). 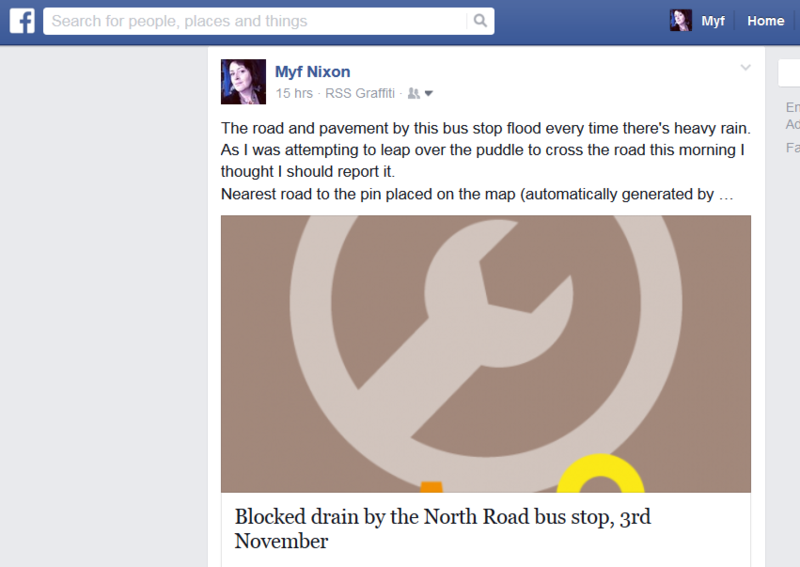 The latest reports from FixMyStreet, superimposed on a Google Map, embedded in your blog. Hope that’s helpful. Matthew and I have been sitting next to each other today looking at the outputs of his lovely new custom built conversion tracking system, designed to ensure that the optimal number of users who just come to one of our services as a one off get signed up to something else longer lasting. I’ve been banging on for ages about how government should seize on cross selling people who’ve just finished using one online service into using another of a more democratic nature, so it seems worth spelling out some of the lessons. First, there’s some interesting data from the last few weeks, since our newest conversion tracking infrastructure has been running in its nice new format. 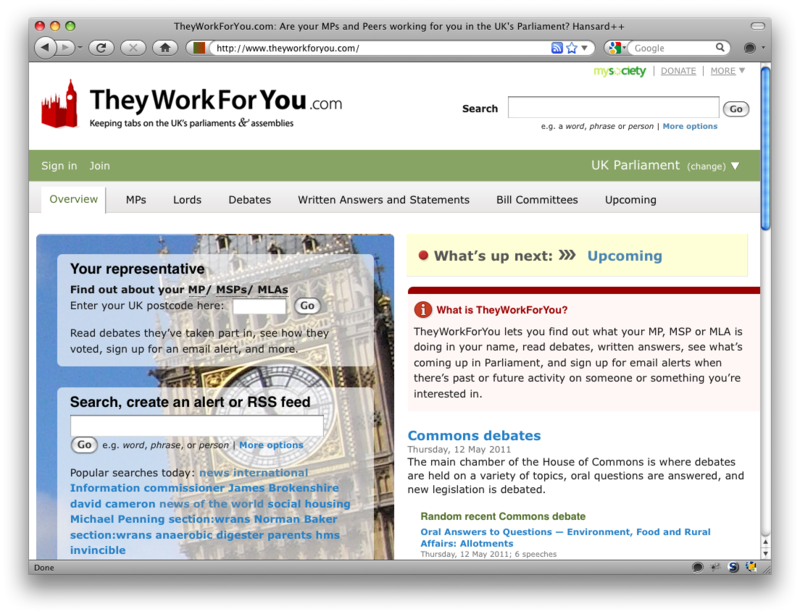 One of the adverts randomly served to users of WriteToThem (after they’ve finished sending their letter) encourages them to sign up to TheyWorkForYou email alerts – the service people use to get emailed whenever their MP speaks in Parliament. 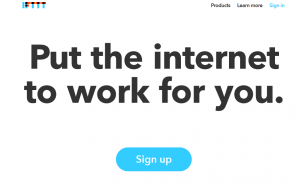 The advert features a slogan of encouragement, and a pre-populated email form containing the user’s email, and a ‘Subscribe me’ button. This advert was shown to 2328 users last month, of whom 676 became TheyWorkForYou email subscribers, which is a pretty cool 29.04% conversion rate. However, we also showed another advert for the same service, to the same WriteToThem users, which also had the same button and text, but which hid the form (and their address). That was shown to 2216 users of whom 390 signed up, a more modest 17.6%. So the impact of simply showing an email box with the users email address in it, versus hiding it, was worth 10% more users. Why? Go figure! So now we’ve canned the advert that hides the address form, and instead we’re comparing two different adverts both of which feature the pre-populated signup form, but which use different words. It’s probably too early to judge, but the new ad appears to have a very similar conversion rate suggesting it might be hard to squeeze many more subscribers out of this page. We’ll keep trying though! Another thing we learned of interest was that monthly subscribers to email alerts on TheyWorkForYou were down year on year in the month before we added this new advertising & conversion tracking system, even though the total number of visitors were clearly up on the same month last year. This appears to suggest that two things are happening. First RSS is catching on, so some users who would previously have got email alerts are subscribing to RSS feeds instead. Second, it suggests that the TheyWorkForYou user audience might have been getting more saturated with regulars – proportionally fewer new users coming (although more visitors in absolute terms) so fewer people signing up to get alerts. The cross marketing and conversion tracking seems to have reversed that trend, which is awesome. We also advertise several different services to people who just finish signing up to get email alerts on TheyWorkForYou itself. We’ve just noticed that a full 25% of people shown the advert to sign up for HearFromYourMP proceed to sign up. We’ve therefore just decided to dump other adverts shown on TheyWorkForYou (such as advertisements for other sorts of TheyWorkFor you email alert) and concentrate on just cross selling HearFromYourMP. A back of the envelope calculation suggests that by just advertising this one site from the completion page we should get an extra 10,000 subscribers to HearFromYourMP this year on top of the organic growth. Not bad for a few minutes analysis, and a number likely to make a fair few more MPs post messages to their patiently waiting constituents. One last interesting thing (at least to me) is how some more demanding services are a much harder sell than others to users. 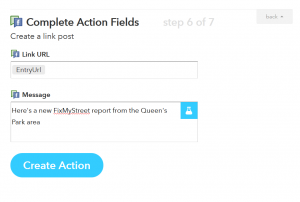 So asking people to make new groups on GroupsNearYou.com or report a problem in a street on FixMyStreet tend to result in more traditional online marketing scale conversion rates of 0.1% to 2%. Still worth doing, and so we compare different versions of those ads too, to try and eke up those rates for these sites that arguably have more tangible, direct impacts on people and communities. Just a quick post to keep those of of you interested in mySociety in the loop with our activities at the moment. 1. 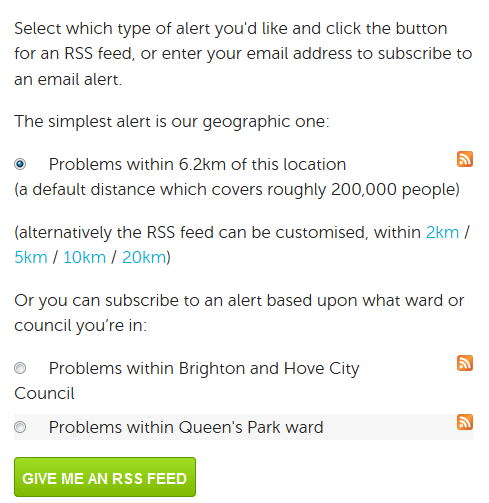 Email or RSS alerts when people report problems in your ward or your council via FixMyStreet. Ideal for councillors, people on resident’s associations, or anyone just concerned about what’s breaking and being fixed in the area right near their home. Have a go – it’s ace when the mail comes dropping in from just down your road. Is this the first monarch with her own RSS feed? Would anyone really care if she was? only two of them involve us building websites. 1. 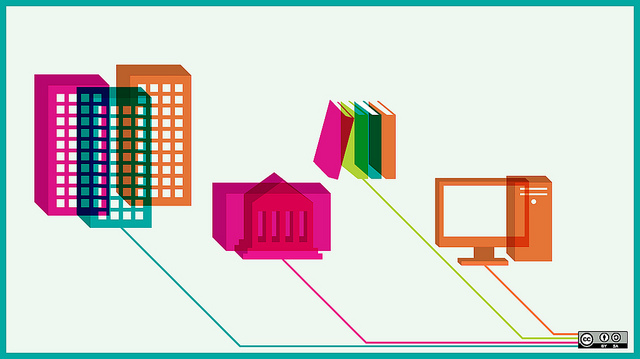 The Freedom of Information Filer and Archive website is under construction. Aiming to make it easier to make freedom of information requests, and easier for people to find what other people have found out, this is being build mainly by Francis. We’re having lots of discussions about design and features right now, and if you have anything to contribute please either get in touch or leave your ideas on the wiki page. 2. Local Email Groups Near You – an attempt to record the location of hyper local email groups and local forums and websites and to share that information on lots of other sites. Why go blindly hunting for advice on a plumber if there’s already an email list that covers your street? This is going to be a rare international project for us, so if you’re outside the UK and interested in community Internet usage, please get in touch. 3. The 90 Day Project – mySociety’s first lobbying exercise, trying to encourage parliament to take some steps to improve the way it publishes information, and to improve the tools that MPs have to handle mail from their constituents. There’s lots and lots more too, but we can’t blow all our surprises in one go, can we?